As one of the leading camping and touring caravan sites in Dover, we are set up perfectly to accommodate a range of guests and visitors. We have both grass and hardstanding pitches available and electric hookup as standard. We have a range of great facilities onsite and our site can handle everything from tents, caravans, motorhomes and much more. With beautiful scenery there’s no reason not to visit The Chequers caravan and camping site. If you’re looking for a camping and touring caravan site near Dover, then look no further than The Chequers. For more information on our caravan and camping site and the services we offer, please don’t hesitate to contact us. One of our team is always on hand to assist. Our camping and caravan site comes fully equipped with everything you’ll need for a stay in Dover. At The Chequers, we offer both grass and hardstanding pitches and electric hookup comes as standard. We have three drinking water taps for filling water barrels, tanks and bottles and a disposal point for toilet waste. Don’t worry about general waste either, we have a number of general and recycling bins on site, meaning you can dispose of your rubbish correctly. Whilst we don’t have any onsite shower facilities, we do offer separate male and female toilets. Our camping and touring caravan site offers some great scenery and is dog friendly, so you can bring the whole family. From long stays to explore the surrounding areas or as a stop off destination before heading to Europe, The Chequers is a perfect getaway destination. We are regularly updating our caravan and camping site to ensure we offer the best possible facilities to our guests. When it comes to camping, motorhome or touring caravan holidays in Dover, be sure to visit The Chequers. We offer an unbelievable stay for all of our guests and many return year on year. Situated near to Dover there are many towns and villages nearby with lots of great attractions and activities. Why Visit Our Touring, Motor Home & Camping Site in Dover? 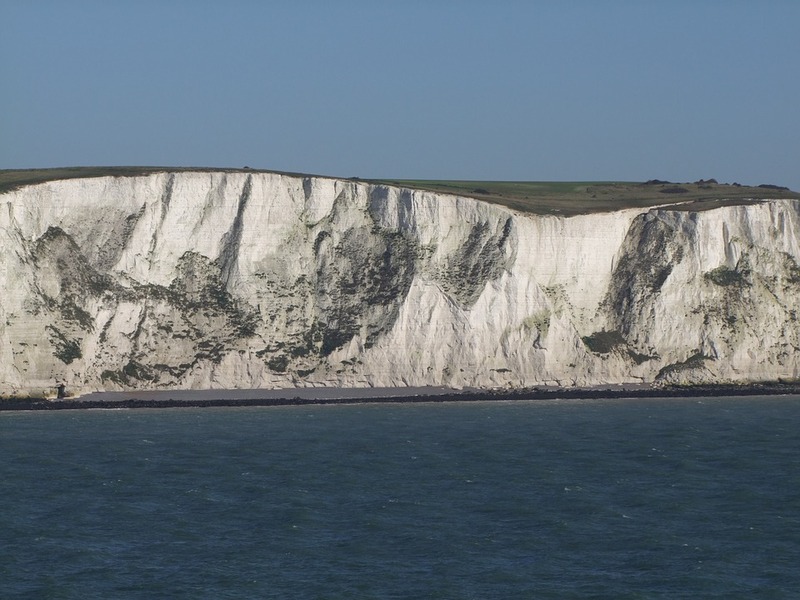 The Chequers is the perfect touring holiday destination near Dover. From weekend stays to whole weeks and longer, we are the all in one touring caravan site. Our site can handle both touring caravans and motorhomes with ease and we have a number of pitches available. We open all year around as a touring caravan holiday site. If you’re planning a break away near Dover then be sure to stay at The Chequers. Contact us today for more information. If you’re looking for a quiet and friendly camping and touring caravan site in Dover, then look no further than The Chequers. We are perfectly situated within close proximity of Dover and offer a full range of facilities for our guests. Whether you’re camping with a tent or holidaying in your caravan, then we’re the perfect destination. Our site is perfect for people of all ages, from relaxing breaks to family holidays be sure to pay us a visit. Should you require more information on our caravan and camping park, be sure to contact us. One of our team is always on hand to answer questions and deal with enquiries.